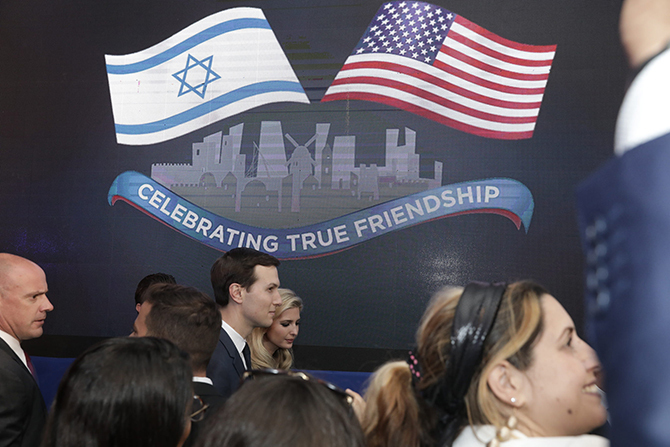 Ivanka Trump and Jared Kushner at an event celebrating the US Embassy’s move to Jerusalem. © Israel Ministry of Foreign Affairs, flickr.com. Not only does the merging of the consulate with the US embassy send a clear signal to the Palestinians that only Israel has sovereignty over Jerusalem, but it will make Palestinian officials suspicious of communicating with the State Department since all lines of official communication will now have to pass through the office of Ambassador Friedman – a strong backer of Israeli settlements and of the right-wing Israeli government. A case in point came as recently as 17 October, when Mr Friedman hit the headlines after he made an official visit to a West Bank settlement, a move which a prominent American pro-peace group denounced as ‘crossing a red line’.